The Man with 1000 Suits!!?!!! **Click on the image, above, to see the full size picture. 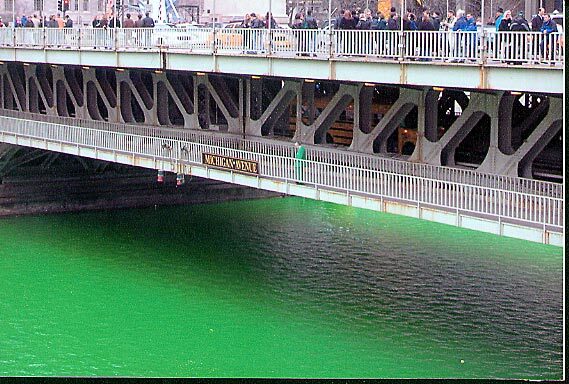 Look for a "vision in green" on the lower level of the bridge, just to the right of the "Michigan Av' sign!! Then, hit your browser's "Back" button to return to this page. Below is a full size image of a star chart provided by the International Star Registry. 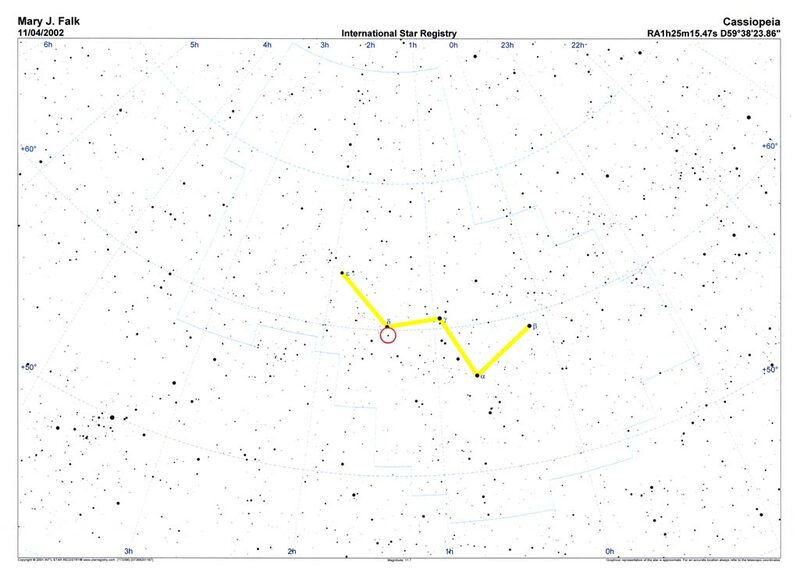 This chart shows the location of the star which has been renamed in honor of Mary J. Falk.. Depending on your screen resolution settings, you may have to use scroll bars to see the entire image.